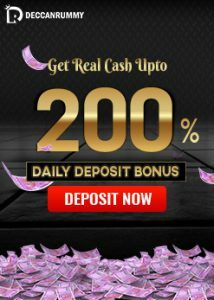 Deccan Rummy in addition to holding multitable multi player rummy card games also invests heavily in other entertaining factors as users consider it very helpful. Our Rummy Raani character is one such creation that is intended to amuse users. Rummy Raani is creating waves by launching one promotion after the other. Ever since she made her stunning debut here at Deccan Rummy, she’s been oozing confidence and attracting lots of players around with her wide range of offers. Many players were curious to know more about Rummy Raani and the destinations that she’s travelling and most importantly the offers that she’s coming up with of late. Many players began to see her as the gateway to the offers and promotions and that’s exactly the intention behind her launch i.e. she needs to be the face of Deccan Rummy. It is really astounding to see the kind of impact that she’s made within a few days from her debut. All we can say is that Rummy Raani has resoundingly made her presence felt and that’s exactly the intention was all about since her foray into the rummy sphere. Since she’s began to call herself as the face of DeccanRummy.com, the curiosity factor has doubled. Of late she’s brimming with confidence with her new promotion “Do velfie” where the players were requested to post a velfie (Velfie is nothing but a video + selfie, a selfie video) about the 3 reasons why they loved to play here at DeccanRummy.com. Deccan Rummy’s users are well known for their socializing skills. Be it chat or in any of our support channel, we see active participation from the users. The active participation has reflected in the performance as well as many players are lapping up all the offers and are performing exceedingly well. 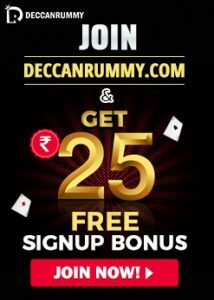 A quick round up of the video will showcase the things that kept the players occupied and held them spell bound with the features here at DeccanRummy.com. This need not be taken as just another rummy review but it’s more of the heart rending emotions that the players feel about playing here. If you don’t believe us, just check out the video where the players are all over the place about Deccan Rummy. Very genuine site – Every player playing here has a legitimate chance to win real cash prizes. 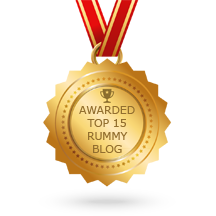 Thank you again for the wonderful velfies rummy enthusiasts. Rummy raani finds it very refreshing and it spurs her to deliver more meaningful offers and promotions in the future. Keep watching this space for many other exceptional offers and promotions in the immediate future.